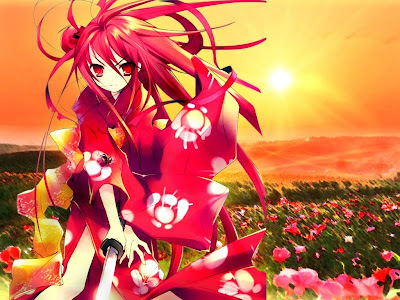 Shakugan no Shana Season 3 will coming soon! I don't know when it is...I also watched the Shakugan no Shana Season 1 and 2 after I downloaded all of this episodes from the torrent anime. Sometimes, I watched the Season 2 because I always focus on my works, but I got watch Season 2 in Animax channel in ASTRO. I feel that Season 2 is better than 1 because the visual effect is FRAME and frozen spirit of fire...So, it is very interesting... They always used the strategy of battle before they face their strongest of enemies...The main characters' past stories also showed up when they involved with Torch and their enemies... They keep to protect their city and save their important person in their life! For more information, you may find out at Wikipedia : Shakugan no Shana. Shakugan no Shana Producer Nobuhiro Nakayama, will announce plans for a 3rd and final anime series based on the fantasy novel by Yashichiro Takahashi and Noizo Ito. In Tokuma Shoten’s Animage magazine, (August Edition) Nakayama will announce that a deeper focus on the background and relationships of the characters is necessary before the finale of the storyline can be complete. 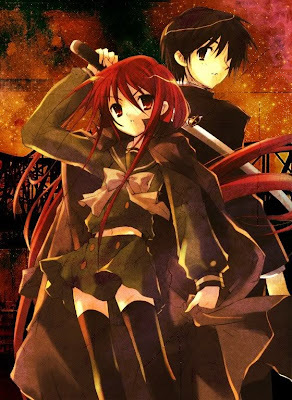 This is the focus of the Shakugan no Shana S original video anime project that will be released first.